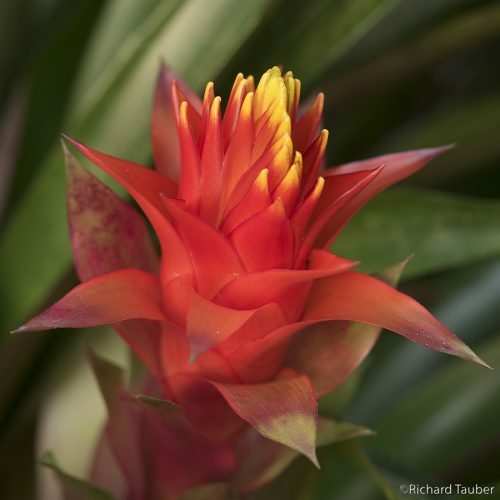 Guzmania have spectacular flowers that seemingly last forever. With a few exceptions, bromeliads are monocarpic plants. This means that once they are done flowering, the plant dies. Fortunately, the flowers usually last months and many bromeliads produce offsets from the parent plant, called pups. 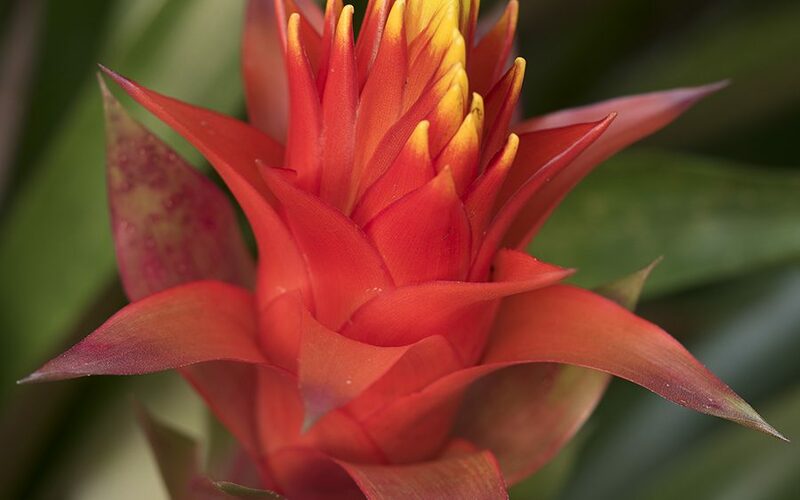 Guzmania conifera is a popular houseplant cultivated for its vibrant flowers and spineless leaves.